Rating: 5/10 – a US Customs agent (Jagger) finds himself looking for the killer of his best friend (and fellow Customs agent), and the person responsible for the theft of a rare jewel – could they be the same man? 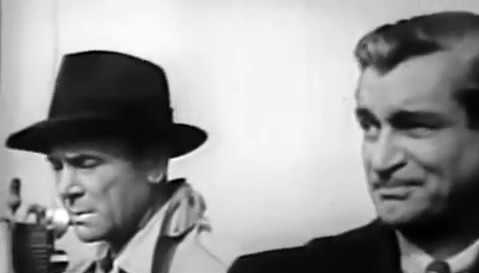 ; an odd noir crime thriller that betrays its low budget production values, ‘C’-Man is short on character but long on action, and is fitfully entertaining, though the performances vary wildly and the script contains some very po-faced dialogue, making it a movie you can’t really take your eyes from – and not in a good way. 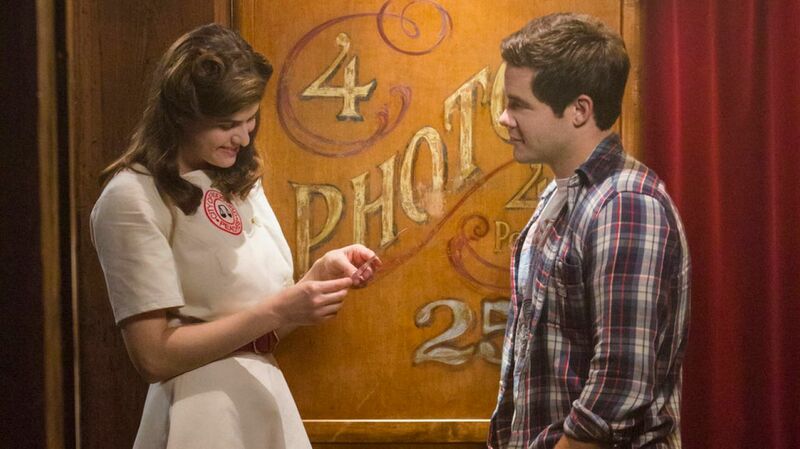 Rating: 3/10 – Noah (Devine) falls for Avery (Daddario) and winds up in the friend zone, but thanks to a magic photo booth, he gets the chance to go back and change their relationship into a romantic one; a dire romantic comedy that struggles to be both romantic and funny, When We First Met can’t even make anything meaningful out of its time travel scenario, and is let down by a banal script and below-par performances. 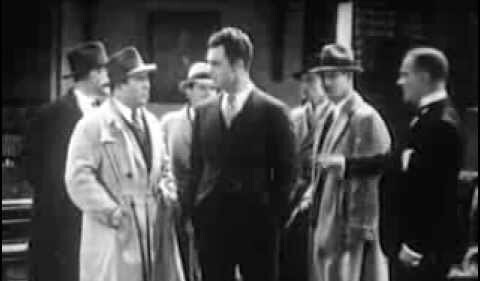 Rating: 3/10 – a reporter (Williams) tries to track down the titular criminal mastermind when he targets the father of his girlfriend (Ray), but finds it’s not as simple a prospect as he’d thought; an early talkie that shows a lack of imagination and purpose, The Phantom struggles from the outset to be anything but a disappointment, what with its unconvincing mix of comedy and drama, its old dark house scenario, and a clutch of amateur performances that drain the very life out of it at every turn. 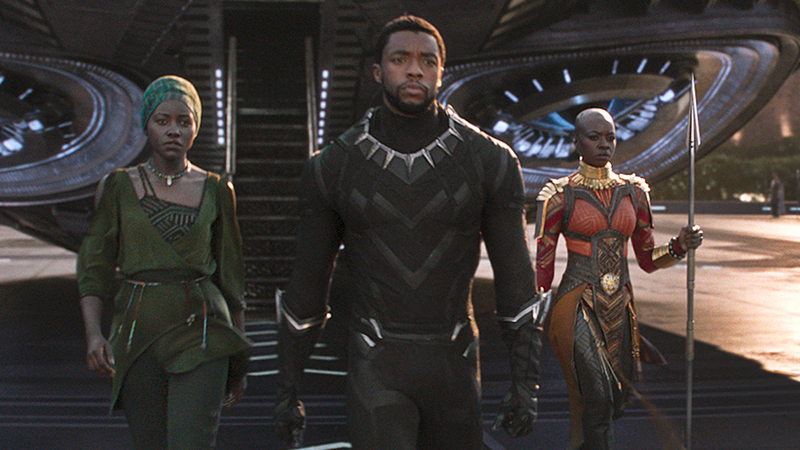 Rating: 7/10 – the king of outwardly poor but inwardly technologically advanced Wakanda, T’Challa (Boseman), faces a coup from an unexpected source (Jordan), while trying to work out whether or not his country’s scientific advances should be shared with the wider world; though Black Panther does feature a predominantly black cast, and speaks to black issues, this is still a Marvel movie at the end of the day and one that adheres to the template Marvel have created for their releases, making this an admittedly funny and exciting thrill ride, but one that’s also another formulaic entry in the Marvel Cinematic Universe. 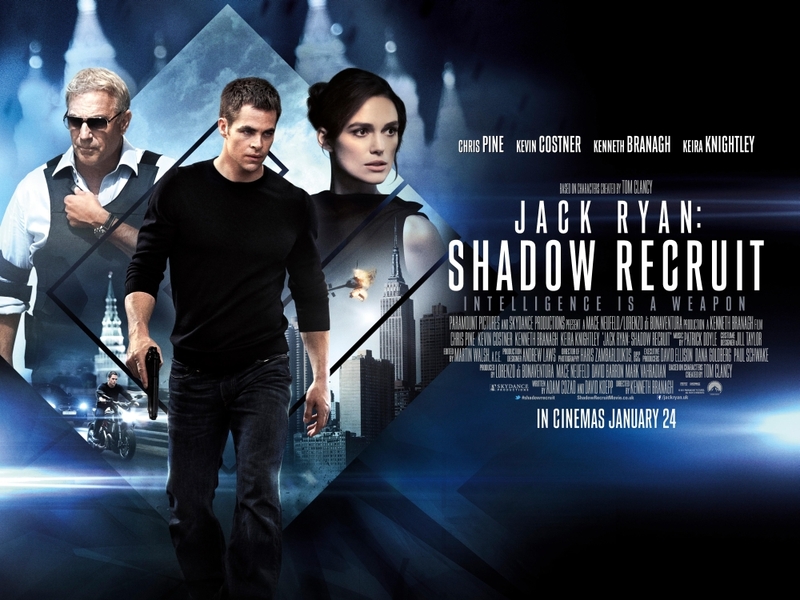 Rating: 6/10 – in the days before the fall of the Berlin Wall, a spy (Theron) must find a list of double agents that are being smuggled into the West, a task complicated by the involvement of the Americans, the Russians and a number of other interested parties; an attempt to provide audiences with a female John Wick, Atomic Blonde does have tremendous fight scenes, and a great central performance by Theron, but it’s let down by a muddled script, an even more muddled sense of the period it’s set in, and by trying to be fun when a straighter approach would have worked better. 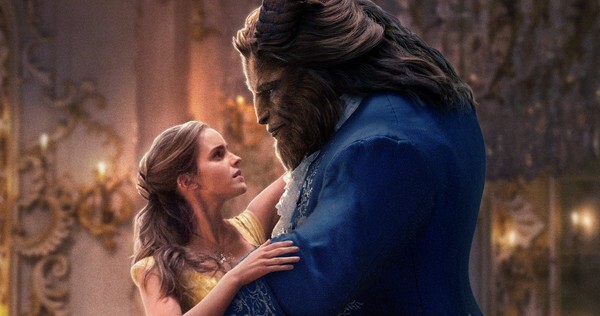 Rating: 5/10 – the classic fairy tale, and previously a classic animated movie, is given the live action treatment by Disney; if the latest installment of a certain space opera hadn’t been released in 2017, Beauty and the Beast would have been the number one movie at the international box office, but though the House of Mouse might point to this as a measure of quality, the reality is that Watson was miscast, the songs lack the emotional heft they had in the animated version, and the whole thing has a perfunctory air that no amount of superficial gloss and shine can overcome. 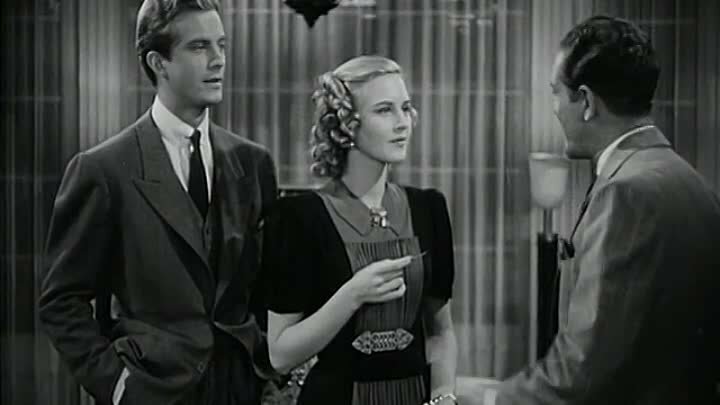 Rating: 6/10 – a newspaper reporter (Lundigan) gets involved in a case involving a master forger (the Black Parrot), an antique cabinet, and a couple of mysterious deaths; an enjoyable piece of hokum, The Case of the Black Parrot gets by on a great deal of understated charm, a whodunnit plot that doesn’t overplay its hand, and by having its cast treat the whole absurd undertaking with a sincerity that is an achievement all by itself. 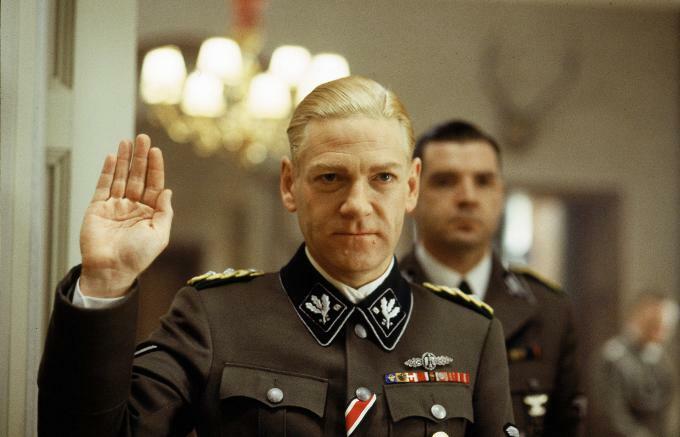 Rating: 5/10 – the famous Belgian detective Hercule Poirot (Branagh) is faced with a complex mystery: which one of a dozen passengers killed an infamous kidnapper, and more importantly, why? 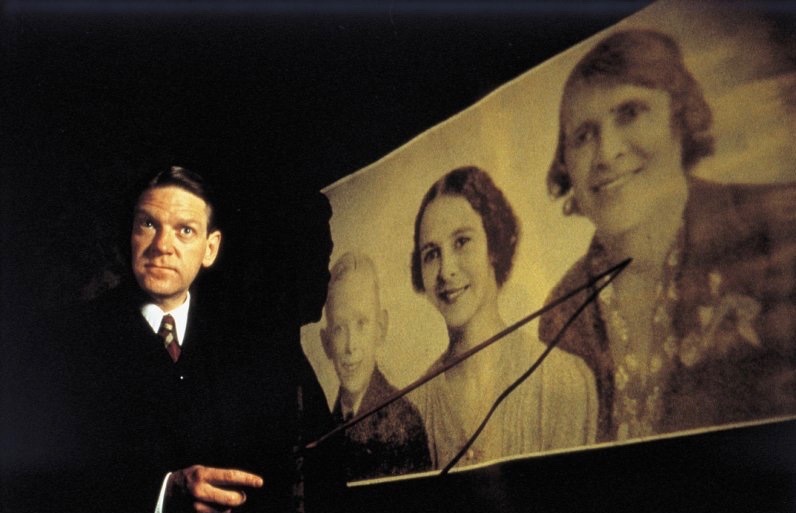 ; yet another version of the Agatha Christie novel, Murder on the Orient Express strands its capable cast thanks to both an avalanche and a tepid script, leaving its director/star to orchestrate matters less effectively than expected, particularly when unravelling the mystery means having the suspects seated together in a way that clumsily replicates the Last Supper. Rating: 6/10 – when seven year old Tim (Bakshi) finds he has a new baby brother, Theodore (Baldwin) – and one dressed in a business suit at that – he also finds that Theodore is there to stop babies from being usurped in people’s affections by puppies; a brightly animated kids’ movie that takes several predictable swipes at corporate America, The Boss Baby wants to be heartwarming and caustic at the same time, but can’t quite manage both (it settles for heartwarming), and though Baldwin may seem like the perfect choice for the title character, he’s the weakest link in a voice cast that otherwise sells the performances with a great deal of enthusiasm. Rating: 5/10 – when a group of friends led by Max (Bateman) and Annie (McAdams) are invited to a game night at the home of Max’s brother, Brooks (Chandler), the evening descends into murder and mayhem, and sees the group trying to get to the bottom of a real-life mystery; like an Eighties high concept comedy released thirty years too late, Game Night has a great cast but little direction and waaaay too much exposition clogging up its run time, all of which makes a couple of very funny, very inspired visual gags the only reward for the viewer who sticks with this to the end. NOTE: This review is based on an IMAX screening of the movie. At one point during Christopher Nolan’s visually and sonically impressive ode to British heroism, Mark Rylance’s stoic Mr Dawson says, “Men my age dictate this war. Why should we be allowed to send our children to fight it?” It’s a rare moment of unexpected criticism (of the war) in a movie that celebrates the British determination to rescue victory from the jaws of defeat on the beaches at Dunquerke (through Operation Dynamo), and which does so in spectacular style. It’s one of a number of awkward moments where Nolan the writer appears to realise that he needs to be a commentator as well as an observer of events, and that he needs to add some much needed depth to proceedings. It’s also a moment that’s indicative of a greater problem with the movie as a whole: it doesn’t engage with the audience as much as it should do. 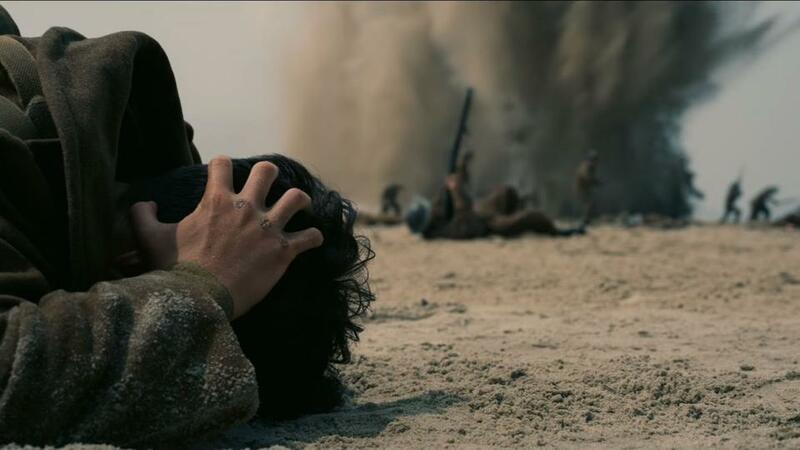 Nolan has gone on record to say that his idea for Dunkirk wasn’t to make a war movie but to make a suspense thriller, to take the three strands of land, sea and air and amalgamate them by the end of the movie into one combined incident. It’s typical of Nolan’s fondness for non-linear narratives, and he orchestrates the three different time frames – land: one week, sea: one day, air: one hour – with great skill and ingenuity, but amidst all the technical wizardry, the human element is left just as stranded as the Allied troops were back in 1940. Considering the scale of the evacuation, it’s hard to understand why Nolan decided to leave out such a crucial aspect. Thanks to the narrative decisions he’s made, the characters we do meet rarely make an impact, with patronym Tommy (Whitehead) suffering the most. Right from the start, where we see him fleeing from a barrage of gunfire and his comrades dropping like flies around him, and through all the travails he endures along the way, he’s a character we never fully identify or sympathise with. He’s a cypher in uniform, and Nolan never really introduces us to him. The same goes for Hardy as RAF pilot Farrier. 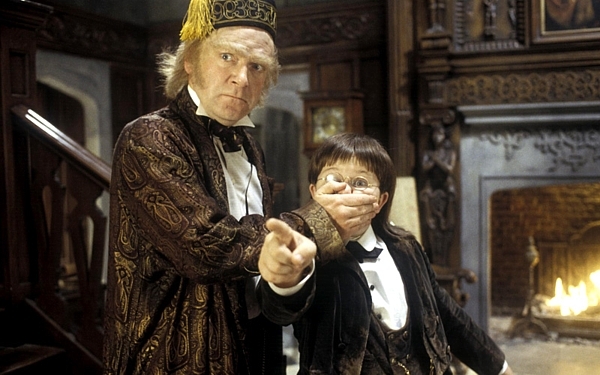 Once more hidden behind a mask that obscures his lower face, Hardy’s expression barely changes from scene to scene; he either looks determined or very determined. Alas, this isn’t enough to provide audiences with a character to identify with or relate to, and it’s only his heroic manner (which is shared by all but one other character) that allows us to appreciate him. Of all the characters we meet, only Rylance as the quietly resolute Mr Dawson and Branagh as Commander Bolton, overseer of the evacuation at Dunquerke itself, make much of an impact but that’s entirely due to their skill and experience as actors. It’s a shame that Nolan couldn’t have fleshed out his characters more; what’s the point of employing actors of the calibre of Murphy and Hardy when you’re not going to give them much to do? For a movie maker of Nolan’s stature, this is an unfortunate approach, and it leaves the movie in danger of becoming just an empty spectacle. Nolan has put a lot of time and effort into ensuring his take on the evacuation is as realistically mounted as possible, with a minimal use of CGI and the majority of practical effects being done in camera, and shooting on the very same beaches at Dunquerke. Thankfully this verisimilitude pays off handsomely, with Nolan’s standing as one of the most technically and visually gifted directors of his generation confirmed for all to see. There’s no room for doubt: Dunkirk is a stunning visual experience. Nolan wanted to give audiences the most immersive movie experience possible (albeit in the IMAX format) and he’s succeeded magnificently. 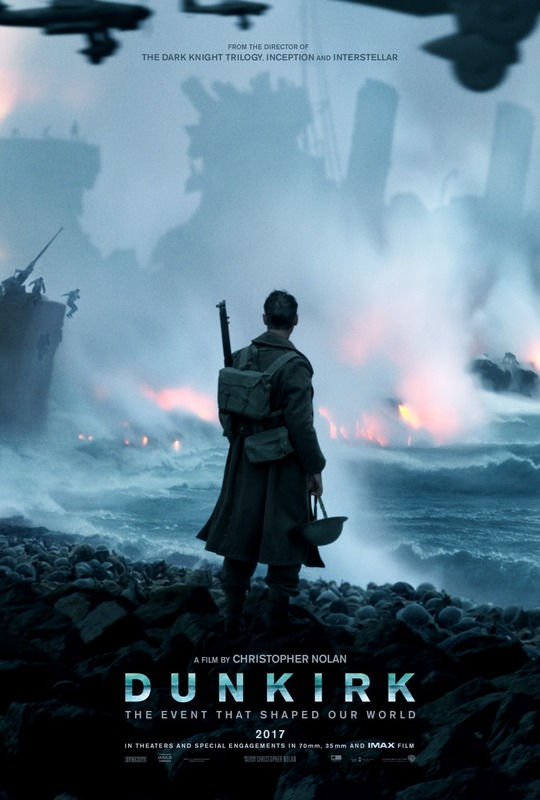 Whether it’s on the beach, on the water, or in the air, Nolan, along with DoP Hoyte Van Hoytema, ensures that the viewer is thrust into the thick of things, whether it’s amongst a group of soldiers hemmed in on a jetty while German Stukas strafe them, or Tommy and some of his fellow soldiers stuck below decks in a torpedoed ship, or the cockpit of Farrier’s Spitfire, all these scenes and many more have an immediacy and a visceral intensity that is breathtaking to watch. On these occasions, the movie truly is an immersive experience, and Nolan’s ambition is fully realised. But if Dunkirk looks visually astonishing, then it’s surpassed by its sound design. Every rifle shot and bullet hit, every creak and warp of timber on the boats, every burst and spin of the fighter planes is delivered with such clarity and impact that it adds an extra layer to the immersive nature of the material, and in IMAX 6-track format it’s even more impressive. There are details in the mix that are remarkably subtle as well, such as the different engine sounds of the small ships as they approach Dunquerke, or the trudge of footsteps across the beach. This is attention to detail taken to an almost obsessive degree, and the movie is all the better for it, creating a soundscape that highlights and dominates events shown, and which in terms of fidelity, sets a new benchmark. Ultimately though (and a little unfortunately), what Nolan has devised and created is a movie that offers an unparalleled viewing and listening experience but which has moments where it seems to be saying, “look at this, isn’t that spectacular?” You can almost imagine a reporter turning to a newsreel cameraman and asking, a la Die Hard (1988), “Tell me you got that.” Nolan can perhaps be forgiven for a little grandstanding, or a little showing off from time to time, but when these moments occur they have the effect of taking the viewer out of the movie and reminding them that what they’re watching isn’t always as immersive as planned. What’s also distracting at times is Hans Zimmer’s score for the movie, which uses Nolan’s own pocket watch as a musical template for much of the tension that’s generated, though it’s a motif that’s over-used. It’s a divisive score, hugely effective on some occasions, an unfortunate pall over proceedings at others, but at least Zimmer stops short of making it all too triumphant and imperialistic – and that adds to the overall effect tremendously. 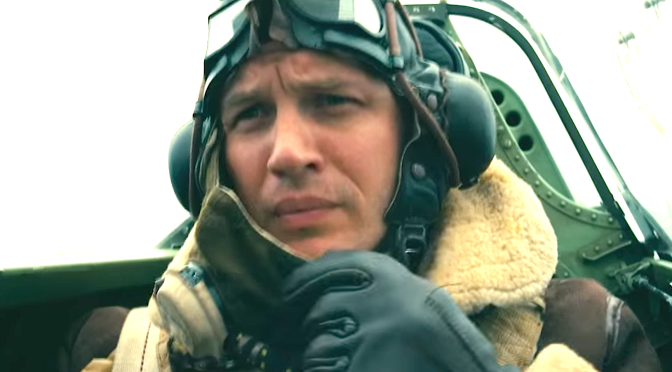 Rating: 7/10 – aside from some questionable narrative decisions, and restrictions around getting to know the characters, Dunkirk is the year’s most ambitious, and most mature, summer blockbuster; an incredible technical achievement by Nolan, the movie is a visual and aural tour-de-force, a feat of movie making that’s unlikely to be equalled or bettered any time in the near future, and which may well be Nolan’s best movie so far… oh, hang on, no, that’s still The Dark Knight (2008). As remakes go, Murder on the Orient Express has its work cut out for it – or does it? When it was first made in 1974 with an all-star cast that included John Gielgud, Lauren Bacall, Ingrid Bergman, Sean Connery, and Albert Finney as Hercule Poirot, its labyrinthine plot – adapted from the novel by Agatha Christie – required a cool head to keep up with it all, and to follow the various strands of its complex narrative. And the solution to it all still ranks as one of Christie’s more ingenious and surprising resolutions. 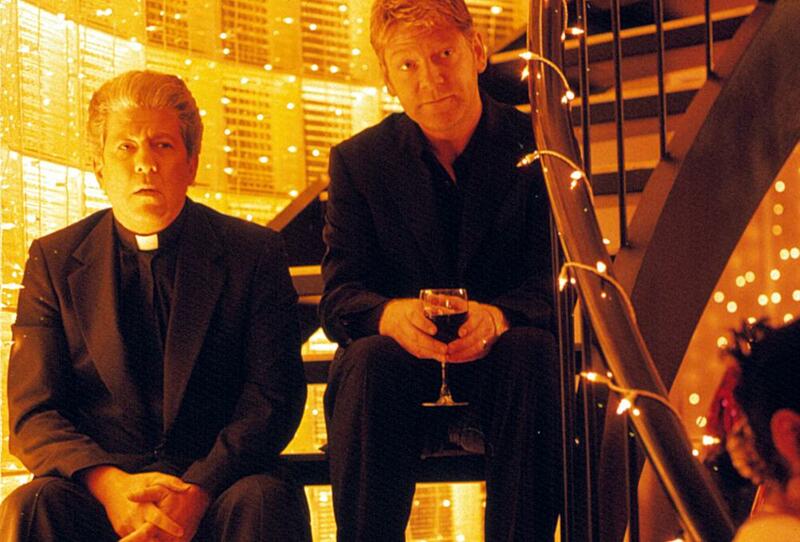 So, with that in mind, perhaps it’s best that over forty years have passed between the original and this new version, directed by Kenneth Branagh, and featuring Branagh himself as the Belgian detective. 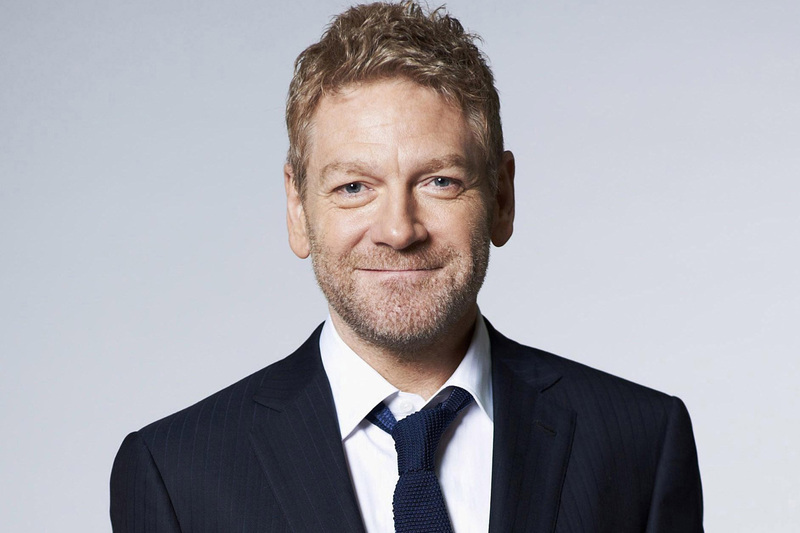 Another strong point for the movie is that Branagh is working from a screenplay by Michael Green, who has provided scripts for two other highly anticipated movies this year, Logan and Blade Runner 2049. 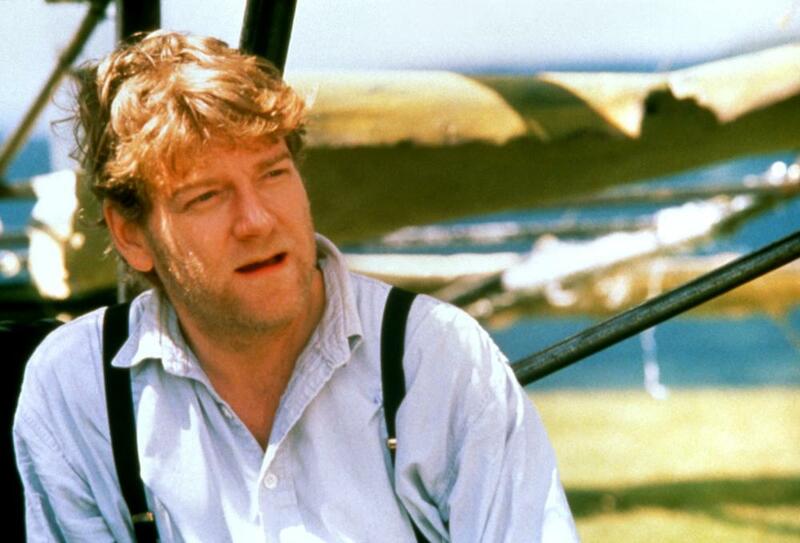 With a starry cast that doesn’t quite match the A-listers of 1974, this version still has enough acting firepower to ensure that audiences are kept on the edge of their seat – unless they’re focused entirely on the humongous moustache that Branagh sports as Poirot. When Steven Soderbergh announced his retirement from directing movies after making Behind the Candelabra (2013), it was regarded as a definite loss. An idiosyncratic moviemaker with a great deal of smarts and an enviable career (few directors could release movies as disparate as Erin Brockovich and Traffic in the same year), Soderbergh’s retirement always seemed to be less of a retirement and more of a break. And so it proves – hurrah! 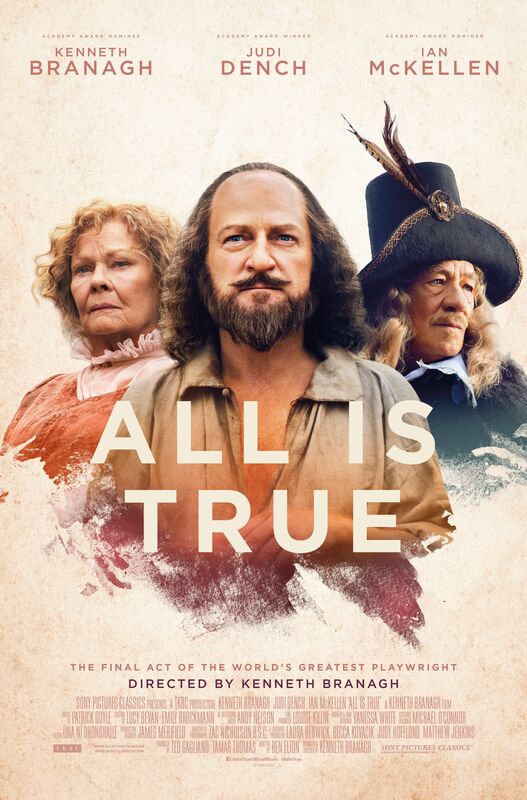 – as he returns with a spirited caper movie that features a great cast (including some newcomer called Daniel Craig), the kind of convoluted plot that won’t be as straightforward as it looks, and Soderbergh’s bold, feast-for-the-eyes cinematography. 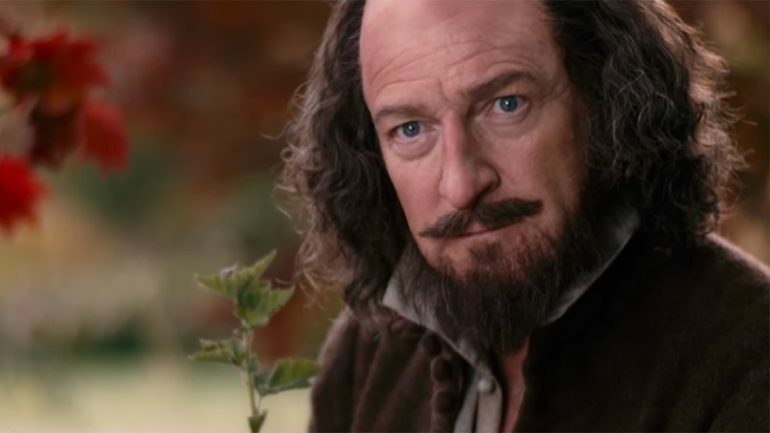 The script is by another newcomer, Rebecca Blunt, but from the trailer it looks as if Soderbergh has allied himself with the kind of tale that suits his eye for the ridiculous and his talent as a storyteller. If Soderbergh brings his A-game, this could well be one of the funniest, and most enjoyable movies of 2017 – and it could make a star out of this Craig guy. If you’ve never heard of Shirley Spork, Marilynn Smith, Louise Suggs, or Marlene Bauer Vossler, it’s not so surprising. They were pioneers in a sport that didn’t encourage female players, and they helped to legitimise women’s involvement in that sport. In 1950, they and nine other women players formed the LPGA, the Ladies Professional Golf Association, an achievement that The Founders covers through a mixture of contemporary footage and interviews with the four surviving founder members. It’s an inspiring tale, and shines a light on yet another example of the institutional sexism that permeated sporting life in the US, where women were deemed unable to play as well as their male counterparts. It’s the first feature-length documentary for its directors, Charlene Fisk and Carrie Schrader, but in telling the story behind the founding of the LPGA, they’ve hit on a piece of recent history that has a wider relevance even today.